Equivalent to 70-200mm on full-frame cameras, the Olympus Zuiko Digital ED 35-100mm f/2 Lens for Four Thirds cameras is an extremely versatile and useful telephoto zoom that is great for sports, action, and portraiture. Offering a fixed f/2 aperture, users can work more effectively in low light and create images with a shallow depth-of-field. Further benefitting image quality is the use of one Super ED and four ED elements, which help combat aberrations and maximize contrast. The fast AF system can be adjusted through the use of a focus range limiter while a detachable tripod foot helps when working on a tripod or monopod. Additionally, it has a 9-blade circular diaphragm for smooth bokeh and features a splash and dustproof construction. It is compatible with Micro Four Thirds cameras through the use of an optional adapter. Box Dimensions (LxWxH) 9.6 x 7.0 x 5.2"
Zuiko Digital ED 35-100mm f/2 Lens is rated 4.9 out of 5 by 39. Rated 5 out of 5 by Anonymous from Superb piece of glass! I've used this lens for over two years now. I purchased it primarily for dance and theatre photography. It's a heavy lens and you know you are handling quality glass!. The f2 through the zoom range soaks up light a treat - a real boon for low light uses and particularly as the Oly SLRs are not the best on the block when it comes to handling high ISO. The lens quality is superb - crisp and sharp as one expects from the Oly ED series lenses, I'm not sure I would want to lug his lens around outdoors on a shoudler strap and under that type of use may even be too heavy for the camera body mount. Rated 5 out of 5 by Paul H from Incredible Lens This lens is very useful in low light and with fast action events. The lens is very fast (bright) which allows for fast shutter speeds to capture the action. The auto-focus is very fast and works very well while tracking moving subjects and in low light conditions. The lens is very high quality and is extremely sharp The focus range switch is very useful for shooting sporting events. The focus lock buttons are very convenient to use in both landscape and portrait orientation. The only drawback is the weight of the lens - which is to be expected with a lens of this focal length and brightness. The lens can be used hand held if you are steady, but a tripod will be very helpful. Rated 5 out of 5 by Woody from Twice the light of the big two As others have confirmed, the sharpness, reasonably fast focus and beautiful bokeh make this lens a wonderful masterpiece to own. As competition to Canon and Nikon's 70-200mm F2.8 lenses, remember that F2.0 allows TWICE THE LIGHT. So, I use this for my daughter's gymnasium sports requiring both challenges of low light and fast action. It delivers. My only suggestion is that using the limiter at 3 meters and higher tends to really slow down the autofocus and has made me miss action shots. Without using the focusing limiter, it works great. I shoot an E-5 with this lens for sports and Leica Digilux 3 for nature/landscape. Again, it delivers and is worth the money and the weight! 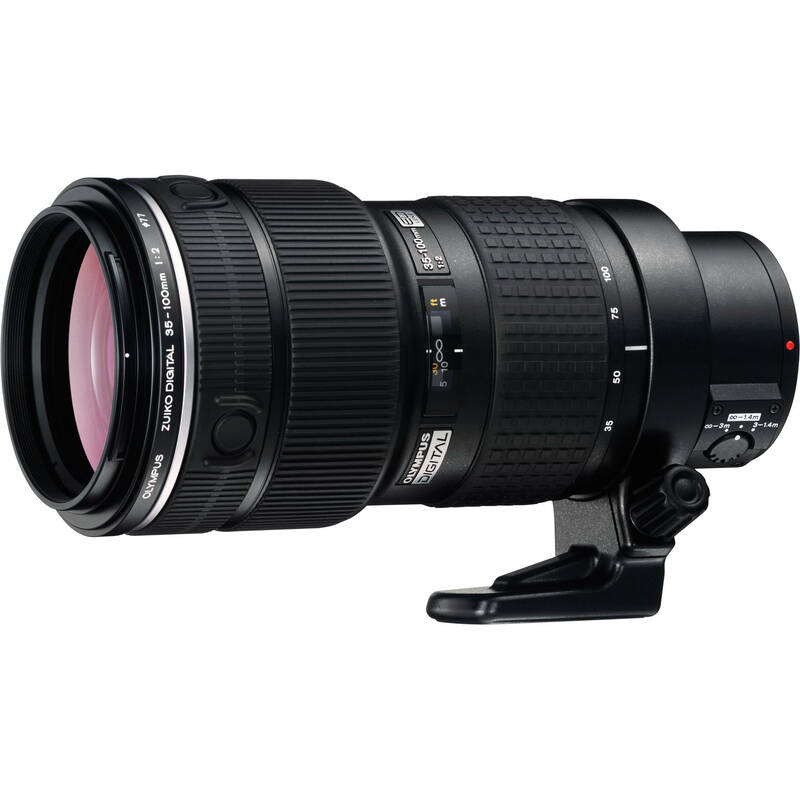 Rated 5 out of 5 by Bill from Outstanding Zoom Lens This is an outstanding zoom lens for the 4/3 system. I use this lens often, second only to the 14-35 mm lens I leave on the camera for general use. It is outstanding as a portrait lens especially when used outdoors; the shallow depth of field allows for a pleasing bokeh. I use it primarily on the E3 body; this combination is weather resistant and I have used it in the rain and in all sorts of foul weather and adverse conditions. The optics are fantastic. It is heavy but still good for handheld use. I keep a neutral density filter on it to protect the optics. Rated 4 out of 5 by Her Royal Sweetness from This Lens is amazing! When I first saw the size and felt the weight of this lens being a woman, I thought what have I done, but after a little practise I soon changed my mind. Last weekend I went on a model photo shoot in a park and walked around for 3 hours hand holding my camera. At then end of the day did not even notice the weight. I was worried that my shots would be blurred by movement but when I down loaded them every one was perfectly clear. I would recommend this lens to anyone who it considering it. Rated 5 out of 5 by Anonymous from Best ever lens I have used..... I have been using this lens for few months now, and believe me, I have never changed the lens since then. This lens is a master piece. Every click produces decent pictures with superb clarity. I have tried looking for some distortions but could'nt find one...It is razor sharp. Only cons is its weight and the price.. It takes time to get used to this beast. I recommend this to any photographer looking for perfection. Rated 5 out of 5 by SLSq from An extraordinary lens! I have an Olympus 14-35mm f/2.0 for my E-3 and found that the performance was extraordinary as a prime quality zoom. No flash needed for existing light with the E-3 Image Stabilizer. So, I began to imagine the potential of having that kind of quality at f/2.0 in the 35-100mm range. I tried one on an E-3 for a moment and then just ordered one! The Olympus 35-100mm f/2.0 is a perfect complement to the Olympus 14-35mm f/2.0 and now I am considering getting a second E-3 body! If used on the GH5 via adapter, will this lens still have manual in-camera aperture control? Yes, as long as the adapter you purchase has the electronic contacts to retain control. With the correct 4/3 to Micro 4/3 adapter this lens could be used on your Panasonic Micro 4/3 body. AF speed however will be slightly slower than this lens used on a native 4/3 body. does it have manual aperture adjustment? The Olympus 35-100mm f/2.0 ED Zuiko Digital Zoom Lens does not have an external aperture ring, though the aperture can be adjusted manually through the four thirds camera body. Will this lens work with my Olympus E510? 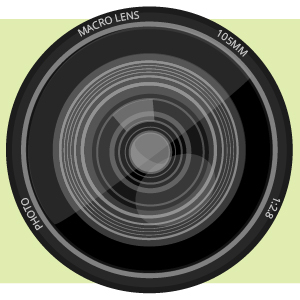 Can you use autofocus with adapter on a micro 4/3 body (e.g. OMD EM-5)?